Instagram is a social media platform that is gathering momentum, it was one of the original image sharing platforms. As such it brought the ability for you to tell your own and your business’s story in picture form. A picture says a thousand words as they say! As such Instagram allows you to put across a powerful message about your products and services that is easy to digest. The demographics of Instagram are impressive with some 288 million monthly users across the world! With a slightly more female dominated audience, and age groups under 35. 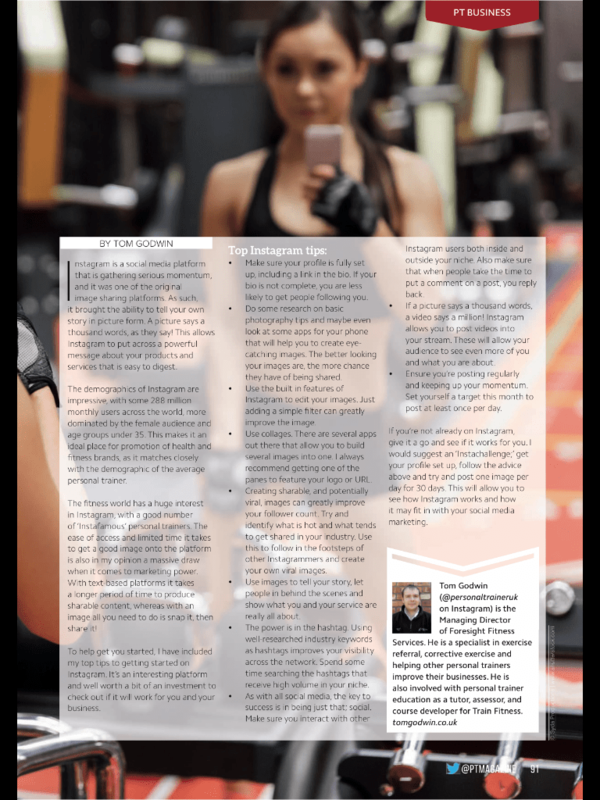 This makes it an ideal place for promotion of health and fitness brands, as it matches closely with the demographic of the average personal trainer. There is a huge interest in the fitness world on Instagram with a good number of Instafamous personal trainers. The ease of access and limited time it takes to get a good image onto the platform is also in my opinion a massive draw when it comes to marketing power. With text based platforms it takes a longer period of time to produce sharable content, where as with an image all you need to do is snap it then share it! 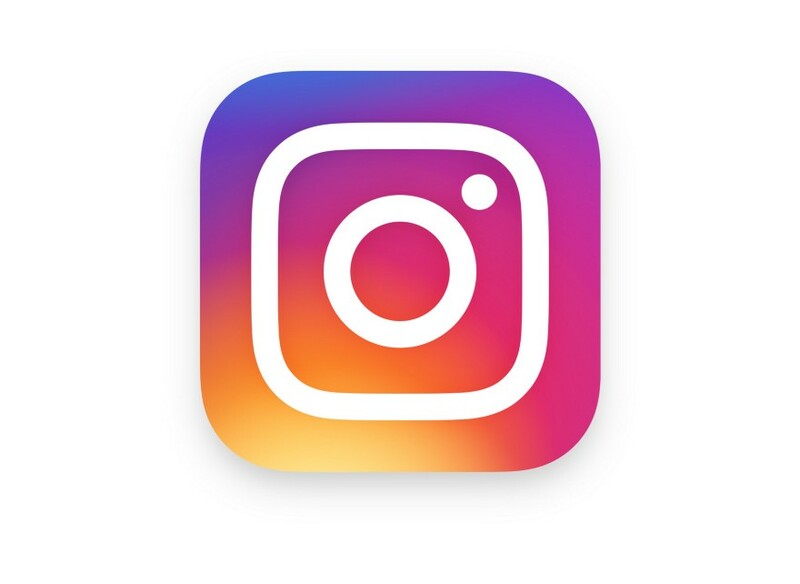 To help get you started I have included my top tips to getting started on Instagram, this looks to be an interesting platform and well worth a bit of a time investment to check out if it will work for you and your business. – Make sure your profile is fully set up, including a link in the bio! If your bio is not complete you are less likely to get people following you. 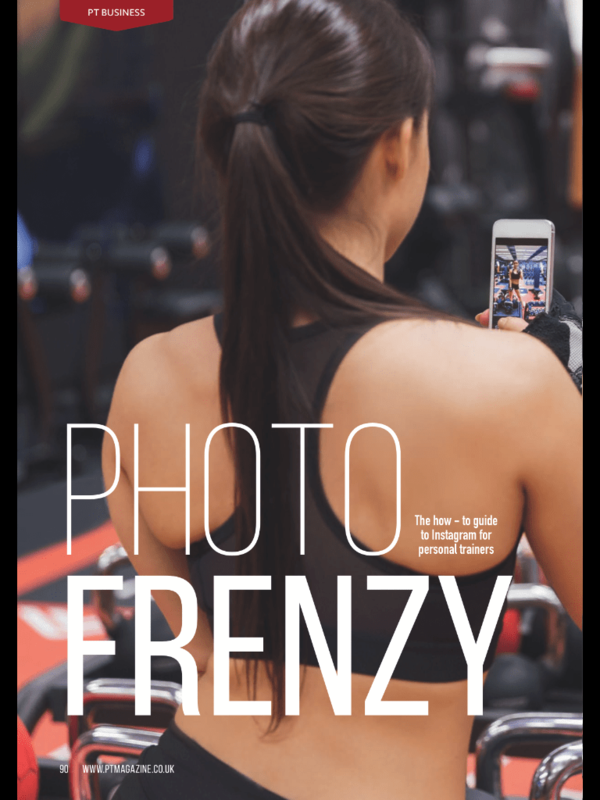 – Do some research on basic photography tips and maybe even look at some apps for your phone that will help you to create eye catching images. The better looking your image is the more chance it has of getting shared. – Use the built in features of Instagram to edit your images, just adding a simple filter can greatly improve the image. – Use collages, there are several apps out there that allow you to build several images into one. I always recommend getting one of the panes to feature your logo or URL. – Creating sharable and potential viral images can greatly improve your follower count. Try and identify what is hot and what tends to get shared in your industry. Use this to follow in the footsteps of other Instagramers and create your own viral images. – Use images to tell your story, do behind the scenes and show what you and your service are really all about! – The power is in the hashtag… Using well researched industry keywords as hashtags improves your visibility across the network. Spend some time searching out those hashtags that receive high volume in your niche. – As with all social media the key to success is in being just that… social. Make sure you interact with other Instagram users both inside and outside your niche. Also make sure that when people take the time to put a comment on a post you reply back. – If a picture says 1,000 words, a video says a million! Instagram allows you to post video onto your stream. This allows your audience to see even more of you and what you are about. – As with any social network the key is in posting regularly and keeping up your momentum! So set your self a target this month to post at least once per day! If your not already on Instagram give it a god and see if it works for you, I would suggest an Instachallenge, get your profile set up, follow the advice above and try and post one image per day for 30 days. This will allow you to see how Instagram works and how it may fit in with your social media marketing!